I'm thinking a something different this time..maybe up National then down Holbert, canal back? once again I'm out. Michelle and I are hiking in the sups saturday. I'll probably be riding somewhere on Sunday not sure where though. want to ride in the morning. want to drink at the TDF. wanted to do a short loop in the morning and ride to the TDF. haven't done holbert, want to do holbert. however, the longer and harder i ride in the morning the less i pay to get me inebriated. damn. now i know how it feels to make a really important decision... like choosing to save 10 people at the cost of one person's life. sorry JB, Tour de Snottsdale on Sunday -- only 2 more training rides then no more skinny-bike for awhile whew! but when we do it next i really really want to do one of the black diamond runs. 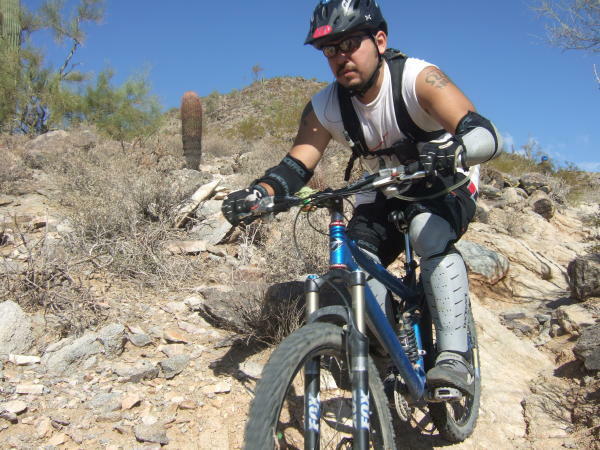 Wow CJ, this Sat SoMo ride has evolved into a regularly scheduled weekly event since you came back from your injury! Very cool...We'll have to hit your ride sometime. I actually like going up National way more than Mormon. And a huge thumbs up for Holbert or Corona Loma. Both primo trail. You should do an Alta ride again as well. Have fun chollaball! The TdeS should be fun! We pre-rode the course a few weekends ago and had a blast on it. Headwinds and all. I did notice last weekend doing the PC loop that they are in the process of building bike lanes along McDowell Mtn Rd stretching from Fountain Hills to Rio Verde. Both sides...So the lanes get narrow with significant drop-offs on the shoulder. Just watch out for yourself and have fun! I'm in town this weekend! How about up National, down Holbert or Geronimo, up road, down National? The canal is soooo boring but does offer a quick way back if time is short. Or I'm always up for a National/CoronaLoma/DC loop. 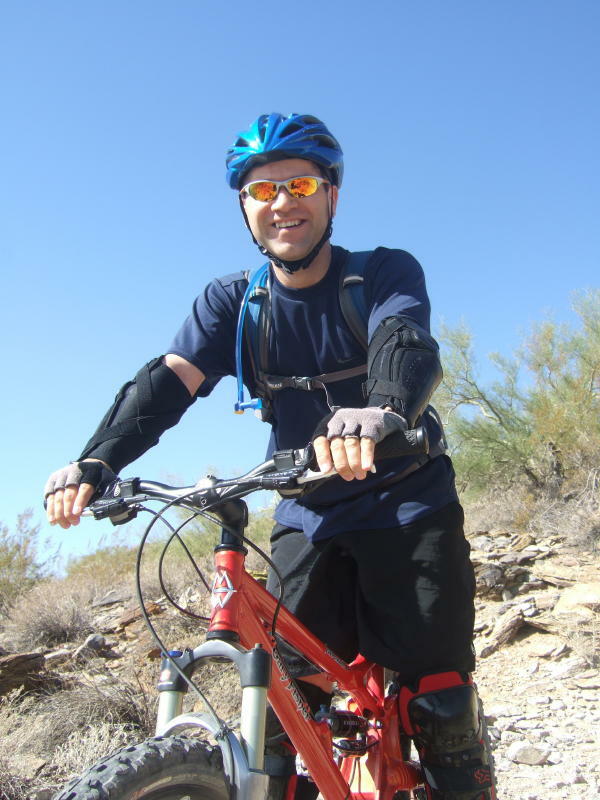 I'll be rolling from my Ahwatukee shack and will meet you at the ramada at 730. Thanks for posting! Mike I too am conflicted. I thought about throwing a TdF loop in at the end of the ride. Today is day 7 of the move to the new house and I will likely need to be back around noonish at the latest to continue cleaning/moving/etc. You could always just bail early and save some for TdF. I will likely have another rider with me starting from my house. We are both a bit pressed for time so plan to do just the National/CoronaLoma/DC loop. But I might have time to meet for a post-ride burrito - the afternoon chores need to be fueled with good food! What's the consensus? What's the route plan... Up National and down ???? I and PoiBoi may join up (depending on the route back). I think we'll just decide the route at the ramada once everyone gets there. Yeah, that was more than my feeble skills can currently handle, but I'm working on it and I'll definitely be back (perhaps next weekend?). I also want to thank all of you for being totally cool and being okay with me fumbling my way up and down the trails. You all are a great bunch to ride with and I hope I get the chance to ride with you again soon. Now that I have been up further than I've gone before (when I go in that direction, I usually head up Mormon and come back where it meets National), I think I'll start making Mormon/National part of my every day rides. It's pretty tough for me now but I don't think I'm going to get any better by not riding the trails that are tough for me. The funny thing is that, before today, I felt like I had improved quite a bit recently. Today's ride just showed me how much more I have to go. Kathleen - Good riding with you today. Thanks for showing us Corona Loma. We'll have to do it again sometime. Good times for sure. Thanx to all for a great time... it was the most fun I've had on SoMo in a long time (no offense PoiBoi ) Although I wasn't looking for to the trek back to the parking lot on DC, I'm definitely glad I did it... and will probably do it again very soon. p.s. 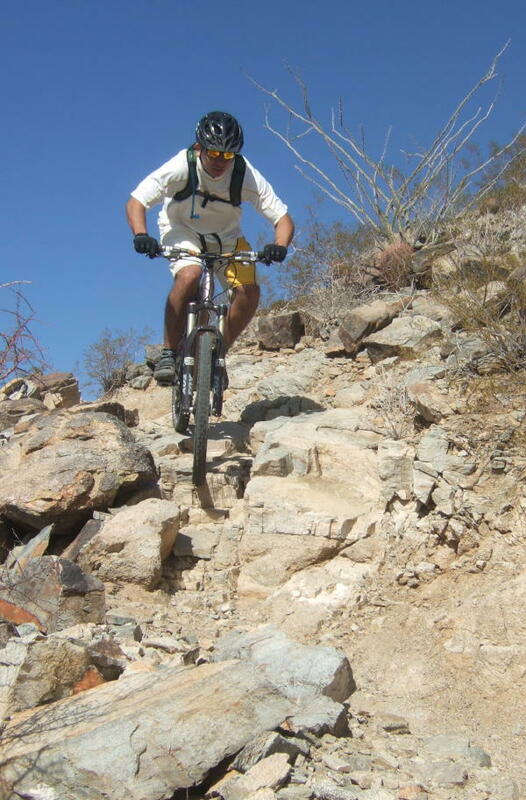 Kathleen, thanx for not posting the pick of me going down the shute w/one foot out, and looking like a doofus! bound and determined to get to the frothy beverages... guilty as charged. I wonder if they are the ones who blocked off one of the popular jumps on the way down the fire road (it's the one that someone took video of a couple weeks ago after one of CactusJoe's posted rides). I just figured it was some disgruntled hikers since there were no signs posted. I'll post up the same ride next saturday. I'm starting to dig that climb up National. Kicks my arse but not as bad as it used to. Kathleen have fun in Sedona.